Second edition, revised & enlarged. Quarto. xv, 747 pp; over 13,000 marks; index. Cloth with dustjacket. VG/VG, previous name on front free endpaper, else a clean, unmarked copy; unclipped jacket shows no wear. 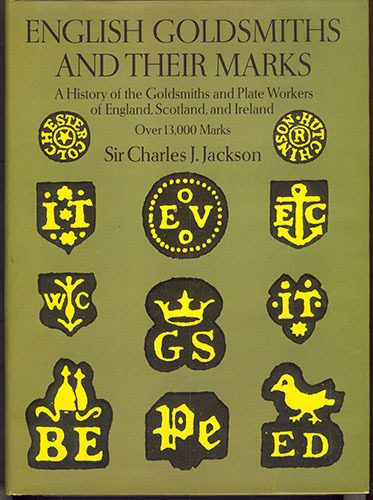 A history of the goldsmiths and plate workers of England, Scotland, and Ireland with over 13,000 marks. Quarto. 320 pp; b/w and color photographs and illustrations throughout; bibliography; index. Cloth with unclipped dustjacket. Near fine in near fine dustjacket. Former owner's name in pen on half-title page, no other markings of defects observed. 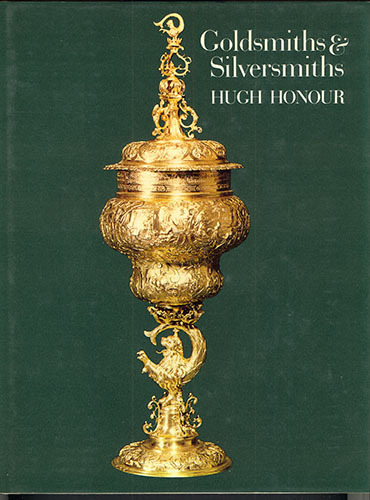 Published as a companion volume to Hugh Honour's Cabinetmakers and Furniture Designers, this book consists of fifty studies of goldsmiths and silversmiths of ten nations and eleven centuries. They range in date from Vuolvinus, maker of a gold and silver altar in ninth-century Milan, to Wilhelm Wagenfeld, who studied at the Bauhaus and is one of the outstanding industrial designers of our time. Sculptors and painters who worked in precious metals are included, as well as the makers and designers of ordinary household plate.